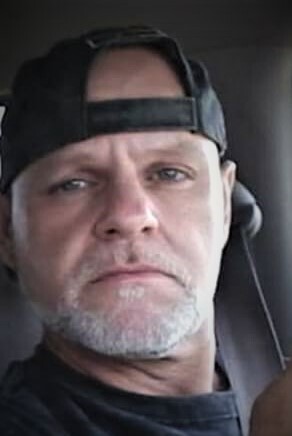 Robert Maynard, Jr., age 51, of Catlettsburg, KY, passed away April 14, 2019. He was born August 17, 1967 to Nyoka Hinkle Moore in Williamson, WV. He is preceded in death by one brother, Charlie Moore. In addition to his mother, he is survived by his father, Charles Moore, one son, Shane Maynard of West Virginia, one daughter, Desirea Maynard of West Virginia, one brother, Isaac Moore of Catlettsburg, KY, and two sisters, Tammy Monn of Greenup Co., KY and Amanda Moore of Catlettsburg, KY. He is also survived by two grandchildren. Friends and family can visit at the funeral home on Tuesday, April 16, 2019 from 6 PM to 9 PM. Private burial will be at the Hinkle Cemetery of Calf Creek, KY on Wednesday. Arrangements are under the direction of Crum Funeral Home of Inez, KY.